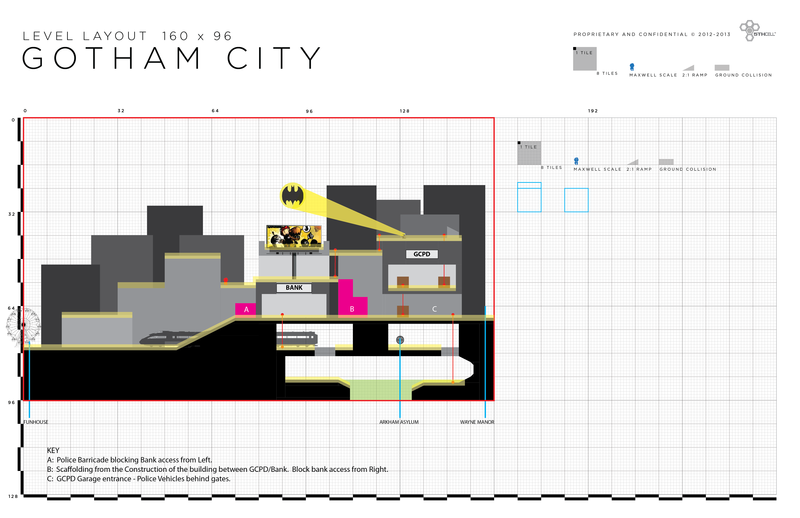 Home to heroes such as Batman, Robin and countless others, Gotham City is probably the most well known name of any DC City - at the very least on par with Metropolis. We wanted it to be a large map as it was to be one of the first areas in the game you would be exploring. It had to be dark, dirty and very iconic. Gotham City Police Department was a must have - simply for the Bat Signal alone! I also wanted to incorporate the Sewers to give Killer Croc fans a location to play in as well as the Monarch Theater and Crime Alley - famous for being the murder location of the Wayne's. 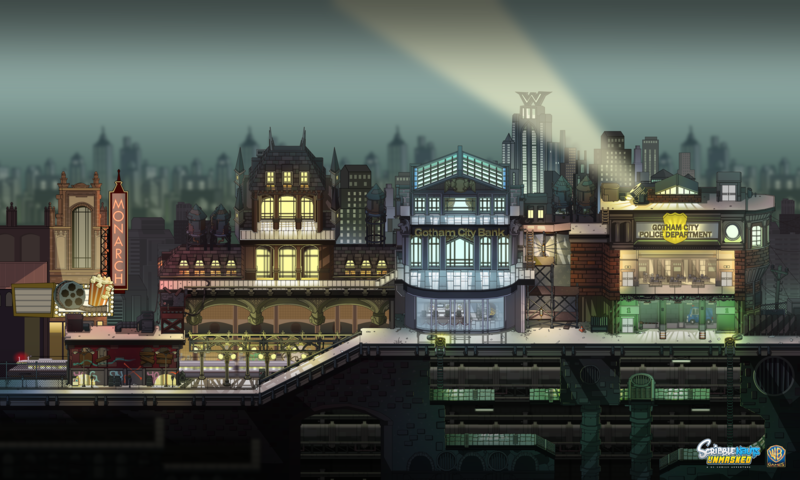 Home to Commissioner Gordon and the famous Bat Signal, the Gotham City Police Department was a must have for the level. It features three floors: the parking garage, the homicide department and finally the roof. The bottom parking garage for the GCPD officer, both crooked and legit, allows access to the second floor interior which further leads to the roof where players will find the Bat Signal shining up into the night sky. The famous spot where the Wayne's spent their last night before eventually being gunned down, the Monarch Theater is one of the most iconic places within the Batman universe. Where the Thomas and Martha Wayne met their end and where Bruce Wayne's life changed forever. There are many things creeping below the streets of Gotham. Deep within the sewers awaits enemies such as Killer Croc and Penguin.